David (or Dave) is a founding partner at Elkind Alterman Harston PC and has been practicing immigration law exclusively, including business, family, asylum and removal defense, since 1999. 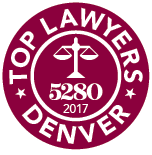 He has been a member of the American Immigration Lawyer’s Association (AILA) since 1999, served on the AILA Colorado Chapter's Executive Committee from 2004 to 2009, and was the Chapter Chair for AILA Colorado from 2007-2008. 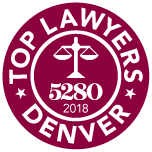 Dave is a member of the Colorado Bar Association Immigration Law Section, served on the Executive Council for the Immigration Law Section (2009-11), and served as the Section Chair (2009-10). Dave served as the Chair of the AILA Colorado Liaison Committee for the Denver Field Office of U.S. Citizenship & Immigration Services (2012-13) and was a member of the committee from 2010 to 2014. 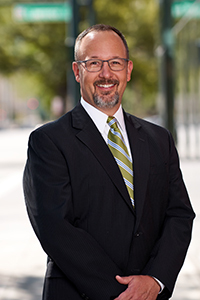 Dave has written extensively on immigration law and is one of the Managing Editors of the CBA-CLE's published book, "Immigration Law for the Colorado Practitioner." He has spoken at national and regional conferences including every year at the American Immigration Lawyers Association National Conference from 2010 to 2014. Dave graduated from the University of Denver with a law degree and a master's degree in International Studies. He received a Public Interest Law Group Grant to clerk at the Center for Human Rights Advocacy in Boulder, Colorado. Dave also interned in the Human Rights Program at the Carter Center in Atlanta, founded by former President Jimmy Carter and former First Lady Rosalynn Carter. Dave received a bachelor's degree in history and philosophy from Allegheny College where he won the Don M. Larabee Prize for best senior thesis on history and the Philosophy Faculty Prize for excellence in the study of philosophy. He studied abroad in Spain and Costa Rica and is fluent in Spanish. When not practicing law, Dave enjoys spending time with his wife and two daughters. He also enjoys traveling, trail running, fishing, and an occasional Rockies baseball game. Speaker, “Charitable Organizations and Immigration Law,” Institute on Advising Nonprofit Organizations in Colorado, Denver, Colorado (CBA-CLE, May 2018). Panelist, “Immigration Issues in Colorado Courts,” Colorado Judicial Conference (Vail, September 2017). Speaker, “Immigration Law and the World of Work,” Employment Law Spring Update (CBA-CLE, April 2017). Speaker, “Immigration Law Fundamentals Spring Conference,” Denver, Colorado (CBA-CLE, April 2015). Co-author, "Current I-9 Employment Verification Procedures & Best Practices for IRCA Compliance," Immigration Law for the Colorado Practitioner, Colorado Bar Association-Continuing Legal Education (Nov. 2011). Author, "Employment-Based Priority Workers: Immigrant Multi-national Executives & Managers," Immigration Law for the Colorado Practitioner, Colorado Bar Association-Continuing Legal Education (Nov. 2011). Author, "Trade NAFTA (TN) Nonimmigrants," Immigration Law for the Colorado Practitioner, Colorado Bar Association-Continuing Legal Education (Nov. 2011). Author, "B-1 and B-2 Visitors and the Visa Waiver Program," Immigration Law for the Colorado Practitioner, Colorado Bar Association-Continuing Legal Education (Nov. 2011). Moderator and Speaker, "Immigration Law for the Colorado Practitioner," Colorado Bar Association-Continuing Legal Education, Denver, CO (November 2011). Co-Author & Panelist, "L Visa Issues," 2010 American Immigration Lawyers Association Fall Conference, San Antonio, TX. Co-author & Panelist, "Strategic Choices in Marriage-Based Petitions," 2011 American Immigration Lawyer's Association National Conference, San Diego, CA.